I love personalized ornaments. When decorating my tree, I love seeing each and every special ornament. Whether they were from a special place, event, or from someone special, each one brings back so many memories and fills me with emotion. 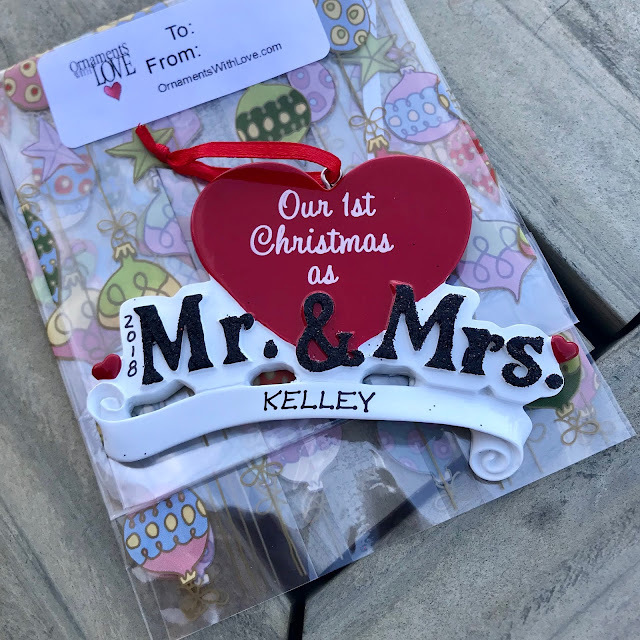 This year, I decided to give my sister-in-law a hand painted ornament from Ornaments with Love to put on her tree since she is celebrating her first married Christmas. The ordering process is very easy. And they have so many beautiful, unique designs to choose from. In 2014, I ordered my son's Baby's 1st Christmas ornament from them. 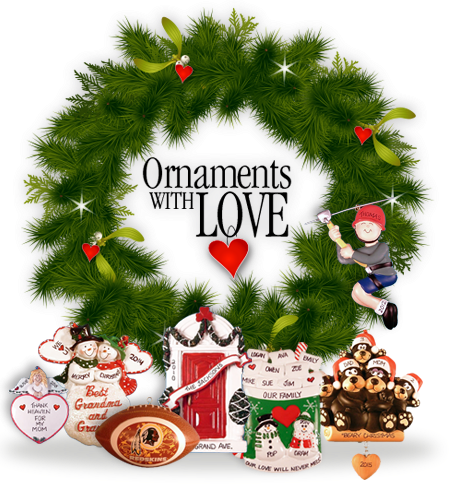 Ornaments with Love is a company run by a family that has been in the retail gifts business for over 50 years. For the past 24 years, we have taken our experience and applied it to selling personalized Christmas ornaments, the last 12 years on the Internet. 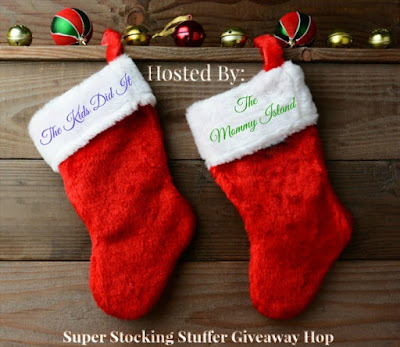 One Nanny to Mommy reader will receive a personalized ornament from Ornaments with Love! Entry is simple, just follow the prompts on the Rafflecopter below. Open US only, must be 18+ to enter. Winner chosen via Random.org through Rafflecopter. All winning entries are verified. Please follow us on Facebook to stay up to date with our current giveaways. Good luck! This event runs November 13th to 27th, 2018! Each participating blogger has a great giveaway for some that would fit any stocking perfectly! I received complimentary products to provide this review and giveaway. All thoughts are my own. If you would like to seen your product featured in our Holiday Gift Guide, please contact us. This contest will run through November 27, 2018 at 11:59 EST. No purchase necessary. US entries only. Must be 18 years or older to win. This promotion is in no way sponsored, endorsed, or administered by or associated with, Facebook. You understand that you are providing your information to Nanny to Mommy and not to Facebook. Please note that Nanny to Mommy and other participating bloggers are not responsible for sponsors that do not fulfill their prizes. We have represented each sponsor with the expectation they will fulfill their prize in a timely manner. We will contact the sponsor regarding your prize(s). The sponsors, in most cases, are shipping their items to you directly. I will make every effort to assist you obtaining your prize. If there is an issue with a sponsor, please notify the blog you won a prize from within 4-6 weeks for assistance, after that we may be unable to assist you. I love the Selfie family ornament. I like the Penguin with Red Glittered Scarf. My favorite is the Tennis in White – Male! I love the Bike with Road, Grass & Banner – Blue ornament. I like the angel ornaments! I would love to get my teen the personalized electric guitar ornament. I love the pug dog ornament, Of course - I have two! I like the Door – Red with Garland ornament. Thanks. I’d come goose to the Baby Christmas in Blue for our new nephew! I love the 'Chef's Always Have Something Cooking' ornament. It would be perfect for our son. Thanks for the super giveaway opportunity. I want the Army Tank ornament for my son. I like the Engaged Snowman with Ring in Box. 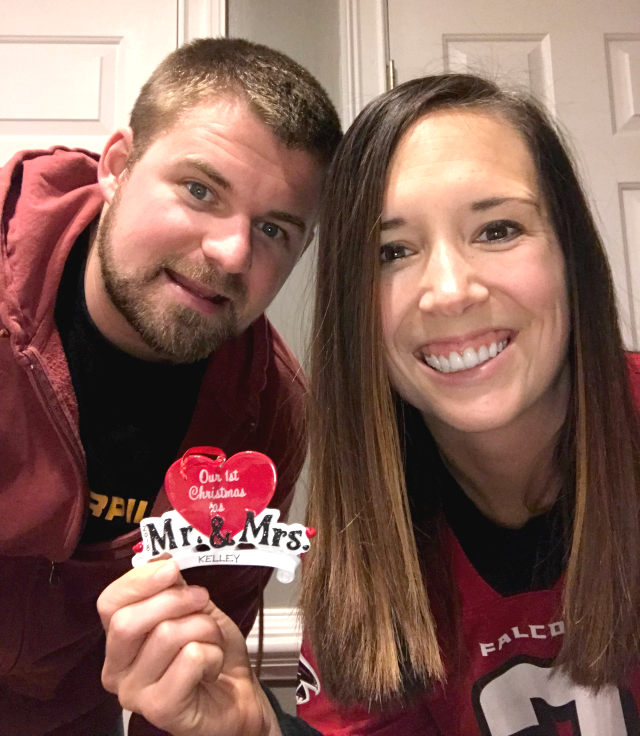 Awww... I like the 2018 Single Snowman with 2 Pets ornament. It would be perfect for our 2 doggies! We are trying to collect yummy looking ornaments to be able to have a gingerbread house/christmas candy/cookies, cakes, etc themed tree and so while I would love any like that, which I see, they have many! I would especially like, either the gingerbread or hot chocolate with marshmallows where I can name all 5 of our adult kids and our grandson on them OR the birthday cake for ME since my birthday is Dec. 25th and it would be a fun way to commemorate that fact while still matching our theme. I like the Bear Family Sitting on Log with 1, 2, 3 or 4 children ornament the best. I like the Beach chair with wreath ornament. With two bulldogs, I absolutely love the Bulldog with Christmas Tree.